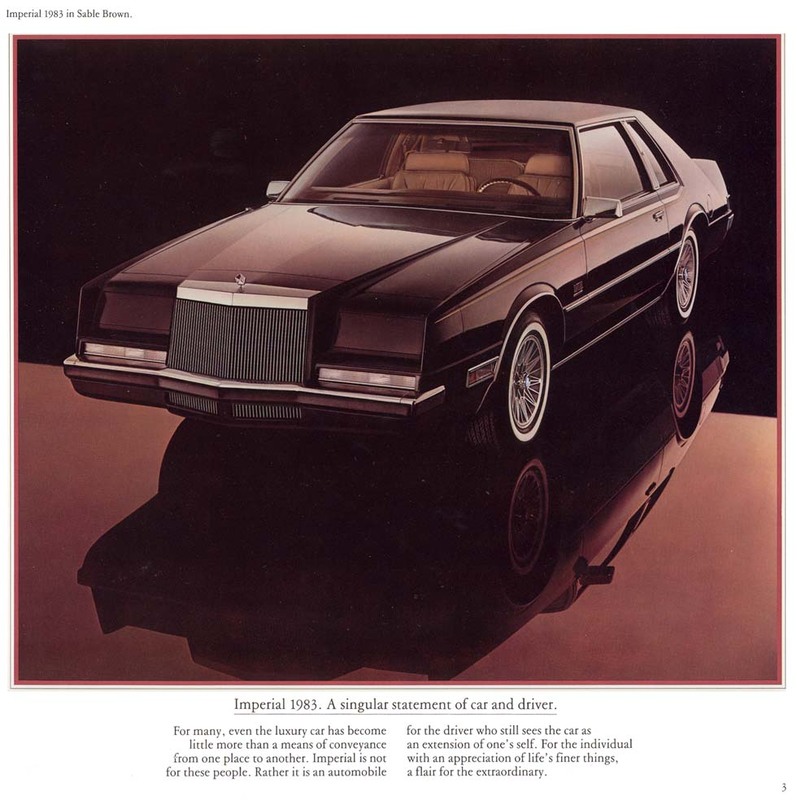 The 1984 Chrysler Laser was intended to be the upscale complement for the Dodge Daytona. Equipment was not notably different from the Daytona, but the Laser had more of a luxury emphasis with a slightly softer suspension. Two engines were available. The base engine, Chrysler’s 93 bhp 2.2 liter/135 ci inline four, was available with a standard five-speed manual transmission or a three-speed automatic transmission ($439). Mileage with the manual was 22 city/32 highway by the standards of the day (19/29 by today’s standards). Moving to the automatic helped city mileage a bit but dropped highway mileage significantly—23/27. The more interesting engine was the optional 2.2 liter/135 ci turbocharged inline four cylinder with 142 bhp and the same transmission choices as the base engine. Depending on whether you were adding the turbo to the base Laser or the XE, the extra cost was either $934 or $872. Mileage with the hot setup (turbo and manual) was 20 city/27 highway by the standards of the day (18/25 by 2015 standards) while the 0-60 time was about 8.5 seconds. Moving to the three-speed automatic once again killed highway mileage, making the ratings 20 and 23. Standard equipment on the base Laser (priced at $8,648 or about $19,700 in today’s dollars) included a leather-wrapped steering wheel, intermittent wipers, and an AM radio with digital clock. Moving up to Laser XE ($10,546 or about $20,400 in 2015 dollars) added features such as an electronic instrument cluster, tilt steering wheel, driver’s side sport seat, dual power side mirrors, and an AM/FM stereo radio. 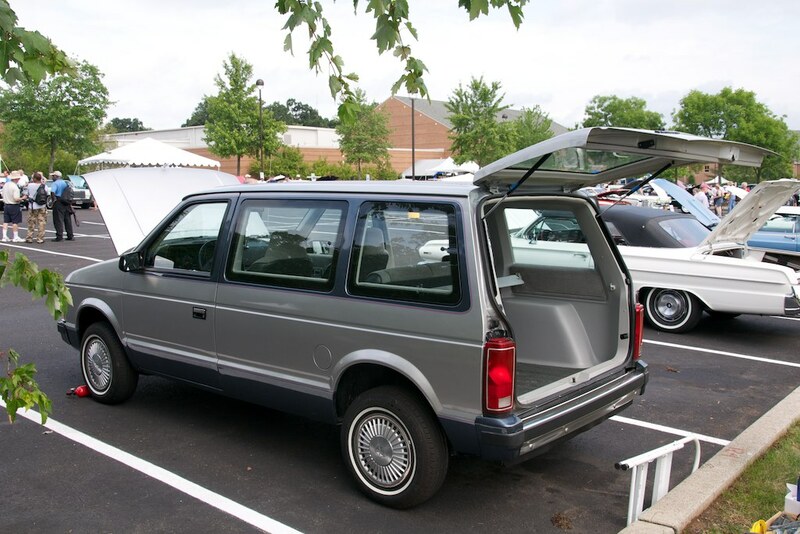 Optional equipment included air conditioning ($737), cruise control ($179), rear defroster ($168 base/$143 XE), power windows ($185), power door locks ($125), and AM/FM stereo cassette ($285/$160). With all the trimmings, a Laser XE could fairly easily get to $12,900 or so or about $29,500 in today’s dollars—about what a 2015 Dodge Challenger SXT costs. The Laser sold decently in its first year, with almost 34,000 base coupes and nearly 26,000 XEs crossing dealer lots. This was actually more than its Dodge Daytona sister car (with a total of almost 50,000 sold). 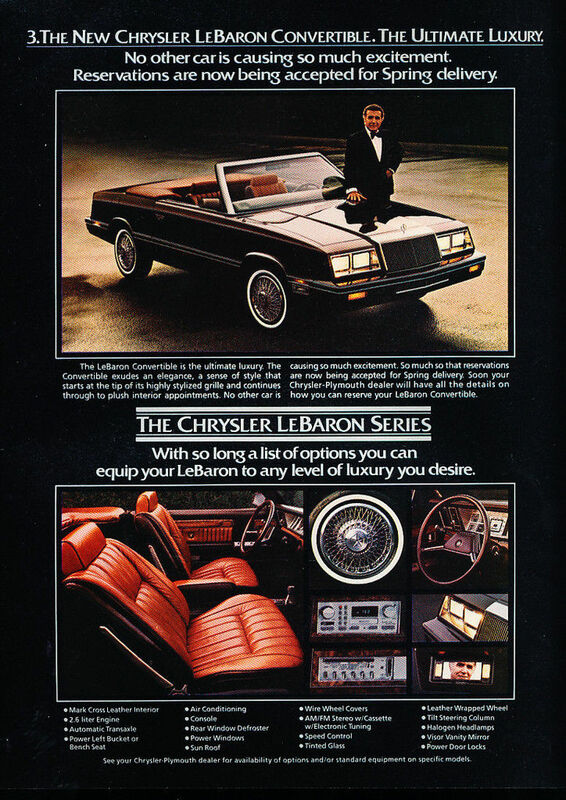 However, Chrysler must have been disappointed—this was an era where the Chevrolet Camaro, Ford Mustang, and Pontiac Firebird were routinely selling in the hundreds of thousands (the three models combined for 530,000 sold in 1984). 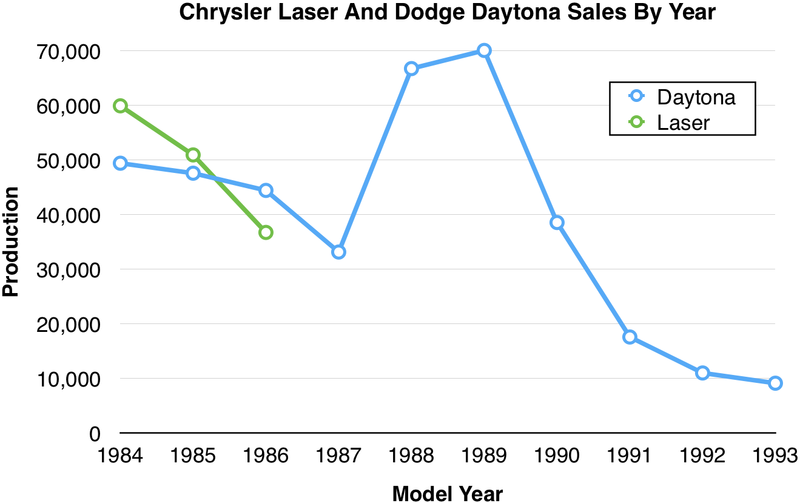 Chrysler would never see these first-year totals again—by 1987 the Laser would be gone, with the Daytona hanging on through the 1993 model year after a few pretty good years in the late 1980s. Lasers rarely show up in the Hemmings Motor News classifieds or on eBay. You see some Daytonas on eBay, but even they are relatively uncommon. Not surprisingly, allpar.com has an interesting and detailed article on the front-wheel-drive Lasers and Daytonas—it is here. Make mine Black, please. I was walking around a local auto show in August 2012, and I came across a near-perfect early Chrysler minivan. First-generation Chrysler minivan at a car show in New Hope, PA. The Antique Automobile Club of America (AACA) has what I think is a wonderful rule—if the car is 25 years ago it can be shown and judged. Period. No cut-offs because of importance or beauty or rarity or anything else. I would argue that the first generation Chrysler minivans were actually very important—the first of 13 million sold over the last thirty years, but that’s not the point here. What’s interesting is that almost all of these minivans led unglamorous family or corporate lives and got “used up” and this one looks virtually untouched. It’s a labor of love bringing one of these cars up to show quality: there’s no aftermarket providing restoration parts like there is for Mustangs, Corvettes, or Porsches of the same age. Methinks there’s a lot of chasing around junkyards and perhaps a donor car or two.